Welcome to The Fay School blog, our online home base for amplifying our mission, exploring our educational philosophies and—most importantly—staying connected to our incredible community. Our passion for forming academically successful and emotionally intelligent young leaders in our home city of Houston, Texas is palpable the moment you step onto our green gem of a campus. Consider this a digitized version of that experience led by our qualified team of educators and child advocates. Since our founding by Marie Fay Evnochides in 1991 who wanted to create a place where “children come first,” we have consistently offered a high-quality education for children of diverse talents and backgrounds. Our families often remark how reassured they feel when they gain a deeper understanding of our unique approach to teaching, leading, and learning. Students at The Fay School receive leadership training and curriculum, as many Fortune 500 executives complete to advance their careers. The Fay environment! Everything from our quality education to our strong sense community. 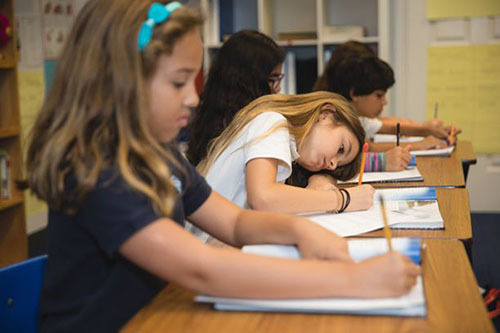 How the Faculty and Staff at The Fay School shape students for the future. We will show you how Fay is experiential, forward-thinking, and innovative. The future is uncertain. Regardless of the ambiguity of what the future holds, we have some tools and tips that can help prepare your children. Our team will be updating this space regularly, so for those new to reading blogs welcome and we are glad you are joining us. You can bookmark our blog page or sign up to receive email updates whenever we share a new post. Likewise, you can follow us on Facebook, Instagram, Twitter, and LinkedIn where we will also share our latest content to our community. We are humbled and honored every day by the opportunity our Fay Families present to us in bringing their children to our school doors. Thank you for joining us in this new and rising channel, as we continue our mission to help children learn and grow intellectually, physically, socially, ethically and artistically while developing self-confidence and a lifelong love of learning.